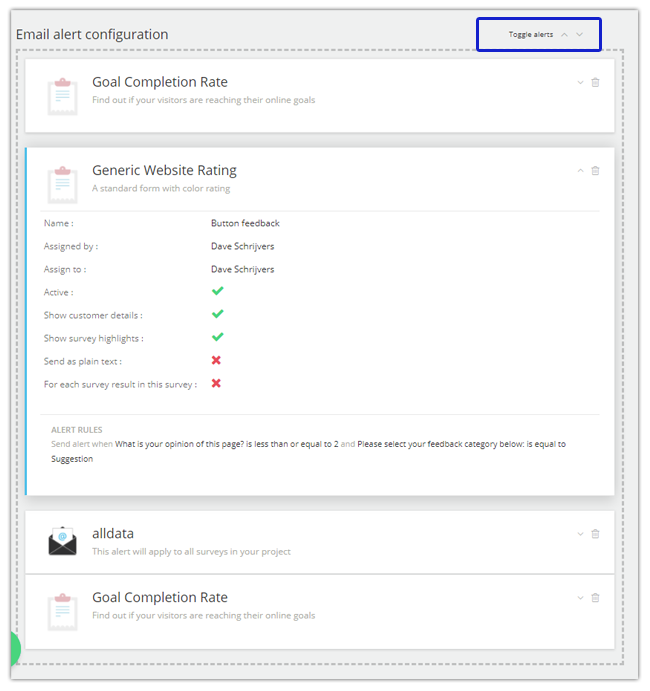 Managing your email alerts just got a lot easier! Previously users were only able to edit one email alert at a time in the Mopinion platform. 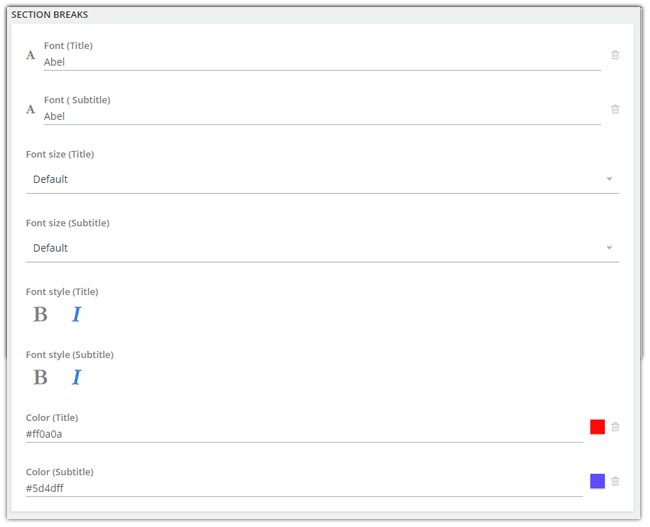 Now users can edit multiple email alerts at the same time (that are all shown in the same view). This saves users a lot of time that was otherwise spent navigating back to the overview page to edit an alert. Additionally, you can choose to send out alerts in plain text. This means you can send out alerts that do not include HTML markup, e.g. colored header, logo, etc. This is handy for those customers whose inboxes do not respond well to HTML and are therefore receiving difficult to read emails. Feedback forms can now be locked for editing by self-service admin users. Once locked, no other users can edit the feedback form (except the one who has locked it). 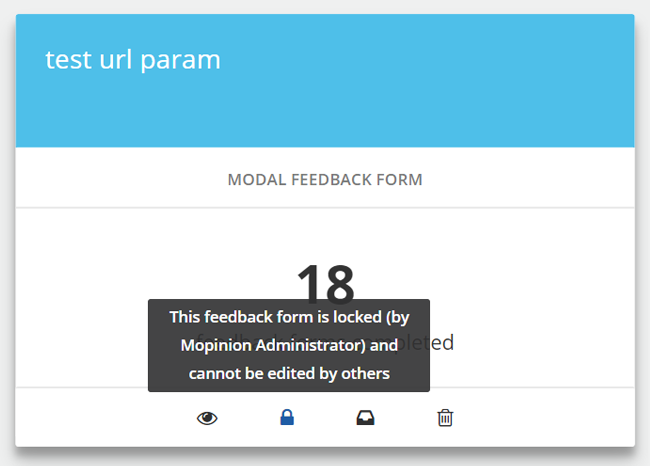 A locked feedback form is indicated with a blue header (as seen below) and the name of the person who has locked the form is shown in the tooltip so that all team members are aware of who has control over the form. 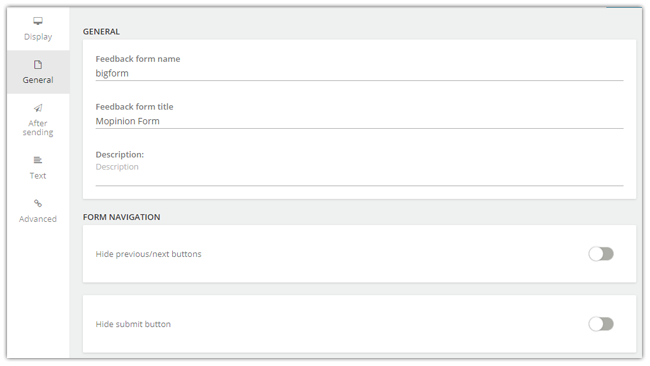 This new option protects the form from being overwritten by another user or being changed while live and as a result, keeps all feedback forms in line with the company’s feedback strategy. 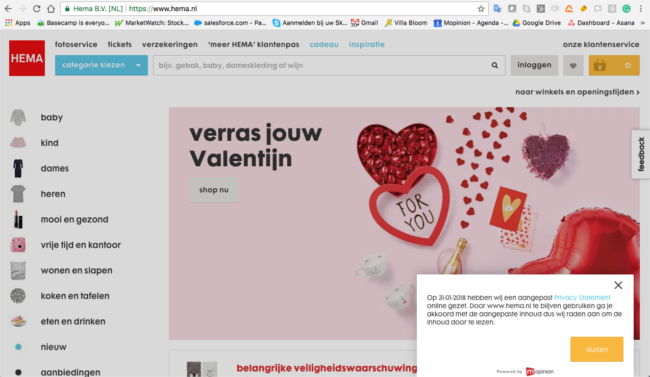 You can now create a background for your public email landing page using a webpage or HTML version of a newsletter. 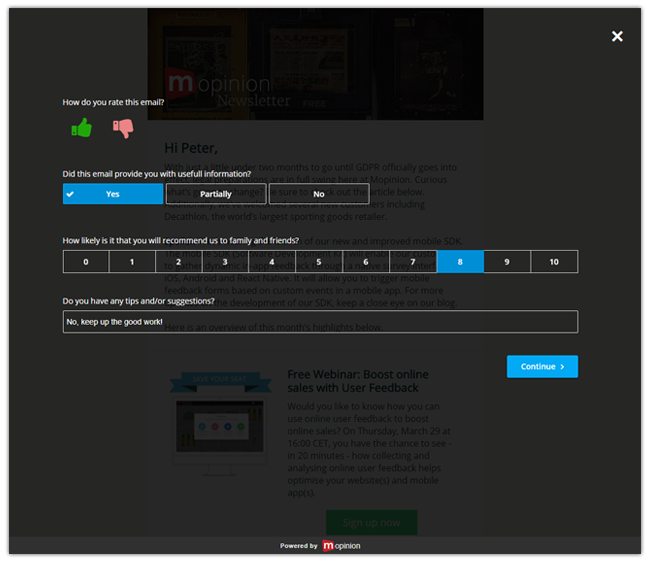 Used mostly for email feedback, this is the page that your visitors are sent to when they are providing feedback (e.g. a score or thumb rating in an email). The background can now be customised in a way that makes your visitors feel like they are still on your website, rather than on a landing page. When they click away from the form, they will view your newsletter or webpage as the page they’re on. The background can be customised by going to the editor, then to ‘Deploy’ and ‘Share Form’. The options available include a transparent/solid background, dark/light theme and an optional text to ‘close form’. This is an exciting new feature in the Mopinion software. Users now have the option to “auto continue” their form when the last question in the form has been answered. 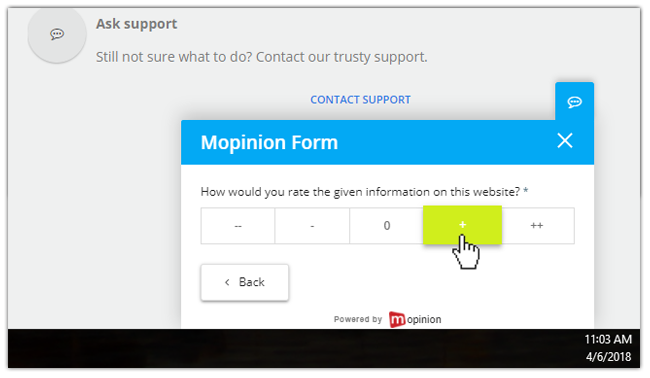 This is great for boosting feedback conversions as it minimises the amount of clicks required to submit a form. This can be found in the Page break element in the editor. If you are to select this option, it will automatically hide the “Next” or “Previous” button on the form. Note: this can only be used for single answer or multiple choice questions (such as Net Promoter Score, Goal Completion Rate, Ratings, Smileys). Below is an example of a rating. As you can see this is the only question in the form and it is single answer so the ‘Continue’ button has been removed. Do you have a form on your website that is used purely to distribute information? For example, a web notification with a special offer or maintenance update? Then you might find these two new features quite handy. 1. The link element can now be used in two different ways: as a normal external link or to trigger native form functions, such as closing the form or going to the next / previous a page. 2. Additionally, the user interface for setting up a link has been moved to the sidebar, whereas before it was located in the form itself. Here, you see there is a new ‘link selection area which is used to select and link a piece of text (so that it is clickable). 3. Another new option is to show a link as a button. Options for editing a link have also been added. This includes link text color, text style, link button color and more. These options can be found in the subtab ‘Buttons’. Additionally, users now have the option to hide the form navigation from visitors. In other words, users can now remove the page navigation or ‘Submit’ button (this includes link elements as described above). However, keep in mind, if you already have the auto post form option on (see number 4), this step is not required. Lastly, we now offer better styling for section breaks (often used in web notifications). The section break feature is often used as an informational text element, or as substitute title for logic. It is now possible to customise the section break in the editor. This makes its possible for the section break to blend in with the other feedback form elements. Now users can easily collect URL parameters and send them along with feedback form data. This is done using the element ‘Website Data’ within the platform. Once collected, the URL parameter will be shown in the inbox under ‘Website data’. This is a great new feature for those using the data as part of their email campaign. For example, they can collect the campaign ID or type of customer (for segmentation purposes). The parameter will then be added automatically to the email snippet in the editor. This is similar to the existing form logic (or question routing) feature, however on a more global scale. It enables users to alter questions within the same feedback form depending on where they are on the website, e.g. which funnel they’re in or which URL they’re on. You already have the contact details of a user so you can prefill their Name, Last Name, Email, etc. and save them time in filling in your feedback form. You can use these fields as a way of storing cookie data. This can be used, for instance, to prefill the email field based on a URL parameter (which would be hidden on the feedback form interface). Developed in response to an increasing demand from the market, this new SDK will provide mobile developers and mobile product managers with a flexible and easy-to-install solution for in-app feedback. Customisable Feedback Forms: Unlike other provider who restrict their customers to using standard templates, we give our customers the chance to customise their feedback forms however they like. 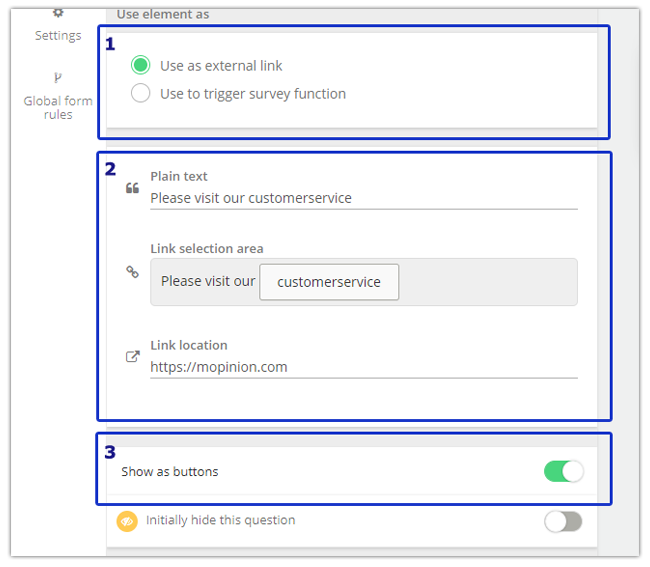 Feedback Form Triggers Based on Behaviour: With the SDK, you can trigger feedback forms based on certain events, such as performing a search, clicking on a button, or leaving an (ordering) process. Visual Feedback: The Mopinion SDK also allows you to collect visual feedback via your mobile app. 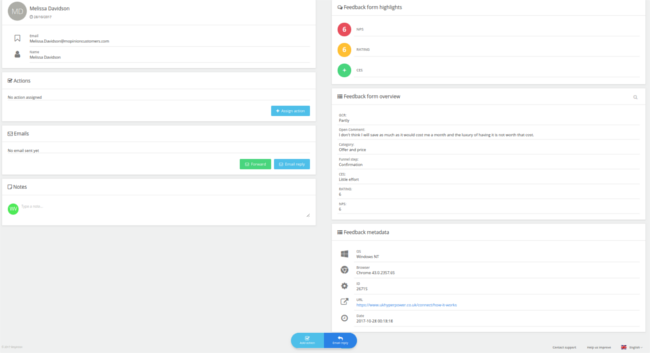 Advanced Analytics: All feedback collected via the SDK trickles automatically into the customisable dashboard, where you can compare and zoom in on different feedback variables and trends. For more information regarding our new SDK, please refer to this article, check out our SDK Mobile download page, or visit our support page and learn how to set it up. 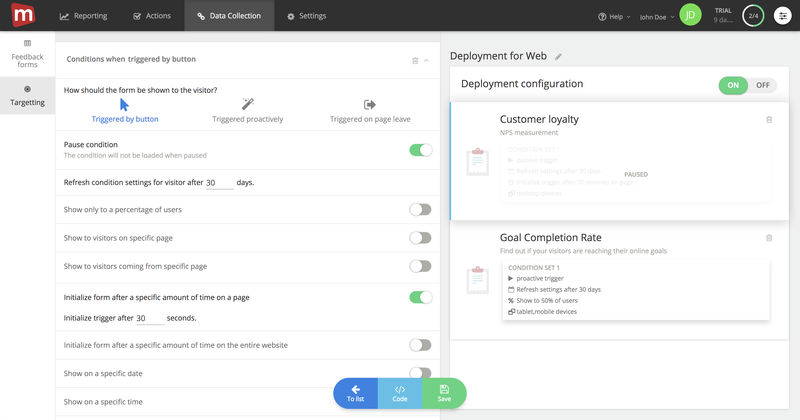 Users can now pause conditions in the deployment editor on a condition set level. In other words, users can quickly pause condition sets inside their deployment whilst keeping the settings intact and not having to pause the entire deployment. This saves you a lot of time if you ever want to run the same deployment again in the future. 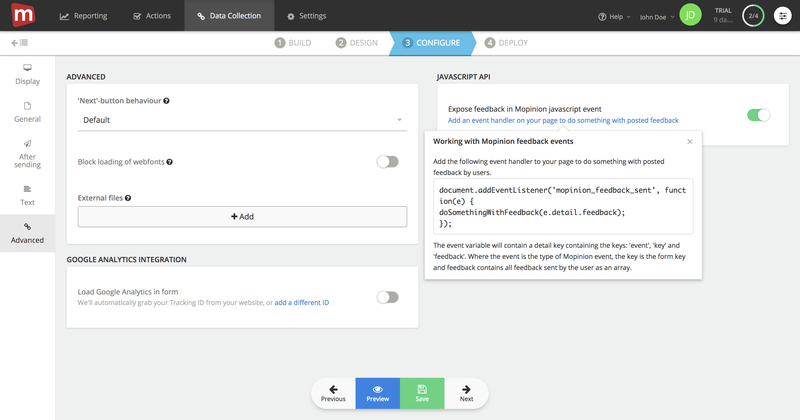 Customer feedback and feedback metadata are now displayed in separate panels within the feedback detail page. This makes it easier for users to quickly read through data and find what they’re looking for. User accounts are now blocked temporarily after too many failed login attempts, so as to prevent brute-force attacks. Users who want to update their password or Two-Factor Authentication (2FA) settings must first authenticate this change using their current password. Curious about the steps we’ve taken to prepare for GDPR? Be sure to check out this article and stay tuned for further updates. We have also made several small visual enhancements to certain elements of our platform. The rule selection panel has undergone some important changes. It is now easier to quickly select elements. 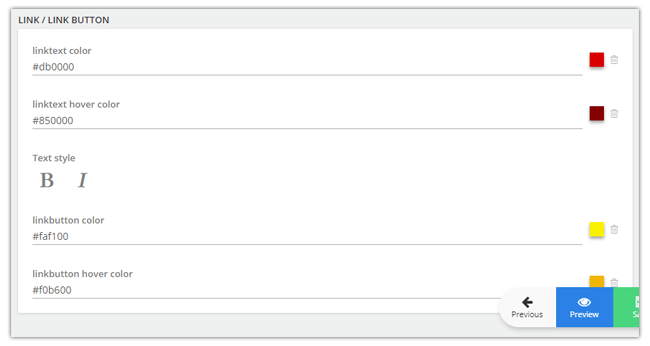 As you can see below, rather than having a pulldown with NPS score options, users can now easily click on the scores they want to add as rules. It is now possible to remove the icon on the feedback button. Keep in mind that this will also affect slide-in forms. Do you have ideas or suggestions on how we can improve our software to meet your needs? We are always open to new ideas! Feel free to share them with us below.